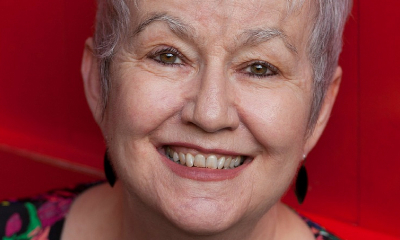 The British poet of Irish origin, Sarah Maguire, passed away in a hospital in West London just after midnight on 2 November 2017 following a difficult battle with cancer. Maguire (60) was the first British writer to be sent by the British Council to Palestine and Yemen and worked tirelessly in presenting Arab poets to the British public, translating poems by Mahmound Darwish, Ghassan Zaqtan and others. She had been a Royal Literary Fund fellow at SOAS University of London, where she held workshops on the translation of poetry. She was also known in the UK for her collaborations on cultural programmes broadcast by the BBC and for her articles in prominent magazines and newspapers. She was the founder and director of the Poetry Translation Centre in London. The first three poetry collections she published, Spilt Milk (1991), The Invisible Mender (1997) and The Florist's at Midnight (2002), established her as one of the most prominent among contemporary poets in the UK. Selections of her poetic works, translated into Arabic, were published by Dar al-Mada in 2003 in a book under the title Halib Muraq ‘Spilt Milk’. She also edited and wrote the introduction for a unique anthology, Flora Poetica, which brings together poems on flowers, plants and trees from across seven centuries of English-language poetry. Another poetry collection The Pomegranates of Kandahar was published in 2007 and a volume of selected poems, Almost the Equinox, was published in 2015. She was the first writer which the British Council sent to Palestine (1996) and to Yemen (1998). She said: ‘My going to Palestine had a positive influence on me and I became concerned with the politics. English literature is conservative and limited at the present time, which seems incongruous considering the political engagement of past poetry written in English, by the Romantics for example (Blake, Shelley, Coleridge) or those who wrote in the 1930s who called attention to the Spanish Civil War (Auden, MacNeice, Spender), though they avoided extreme politics. The poetry scene in the Republic of Ireland and Northern Ireland on the other hand is more intense which is not unsurprising given the political tension there during the 1960s.‘ From this came some discomfort for her in that she didn’t want to become one of the pioneers of political poetry, since in her view it is polemic and not poetry. A poem by simple reason of its being written impels a return to read it over again once it’s finished. Indeed poetry doesn’t ever come to an end. Maguire said ‘I love suggestive poetry, that which places an issue after its antithesis. Poetry lives in the joints which bind the images; it doesn’t say what it does and is more flexible than prose. In my first [published] poem ‘May Day, 1986’ which I wrote in that year, I began with a report on the weather, turned to a garden, talked about the Soviet Chernobyl reactor disaster and also brought in the English novelist Jane Austen, following which I addressed my friends in Poland, and all of that in lines that don’t number more than the fingers on the hand.’ She went on to say ‘Yes, British writers are inclined to the novel and this situation has persisted for the last three hundred years. In poetry, however, we have deep traditions which I naturally inclined to. Perhaps what drew me to poetry is its being less popular and marginal. I was perhaps also fortunate in being influenced by the depth of those poems which were written in English outside of Britain, those coming from Ireland and the poetry of women of the United States starting with Emily Dickinson (1830-63), Sylvia Plath (1932-63), Elizabeth Bishop (1911-79), up to Adrienne Rich (1929-2012). Sara Maguire’s parents were teachers in primary schools and both of them came from a poor background. Her father was a skillful piano player; he wasn’t a professional player but he was understanding of her being a poet. She grew up surrounded by lots of music. To her mother she was a ‘great queen of language’ learning to read from when she was three or four years old and she would play linguistic games with her mother which furthered her aptitudes in language. She was an only-child and unhappy, she had no brothers or sisters. She would read throughout the day including many books which she didn’t understand at the time, though the influence of some of them remained strong. She began to write poetry when she was fourteen or fifteen years old and inclines strongly towards contemporary poetry. In particular contemporary Irish poetry by poets such as Seamus Heaney (1939-2013), Michael Longley (1939-), Derek Mahon (1941-), Tom Paulin (1949-) and Paul Muldoon (1951-). All of them were writing during the period of the political upheavals in Northern Ireland, their works were full of history and politics as opposed to works from the domestic viewpoint which was written in Britain. She also benefitted from influential programmes about poetry broadcast by the BBC in the 1970s, which were many at that time. The days she passed in secondary school were difficult and she was expelled. Not wanting a life in a tedious and limiting occupation she began a revolutionary job. This was in 1974 and British society at that time was not used to women doing certain things but she decided to train for work in gardens. It wasn't usual for a woman to work as a gardener and in complete contrast to her being in a high school for girls, she became a manual labourer working among men. Conventions though were changing and she loved the work despite its strenuous physical labour. She loved knowledge of how plants grow, she loved the history of the gardens, how they had started, who owned them and even more she loved the technical vocabulary of botany. She went to university when she was twenty-seven years old to study English language, in particular poetry, and began to study for a doctorate at Cambridge University but didn't complete it. In 1991 her first book was published. She occupied herself at this time with some temporary positions (she worked among AIDS sufferers and in prisons among young people) along with presenting discussions on culture for the BBC until she founded the Poetry Translation Centre in London in 2004 and with this, she had found her calling. Translated for the Poetry Translation Centre by Martin Orwin. Republished with permission from to Al-Quds al-’Arabi newspaper.